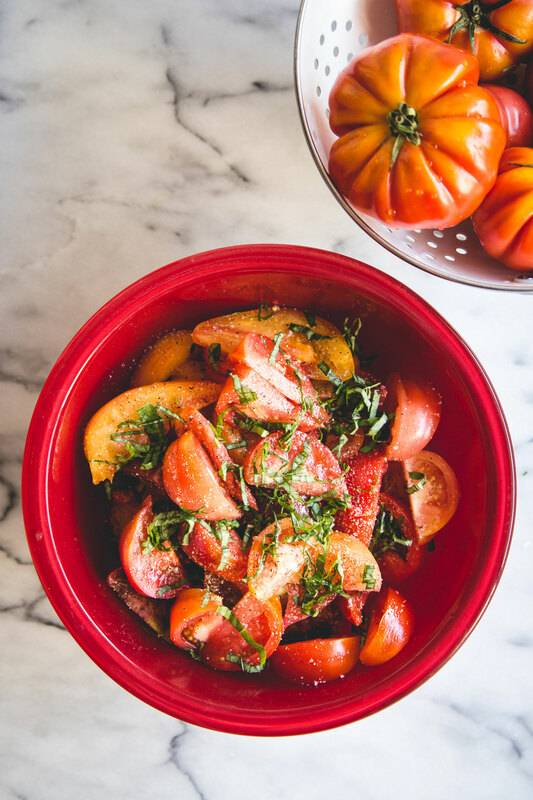 Here at Kendall-Jackson, we’re crazy about heirloom tomatoes. 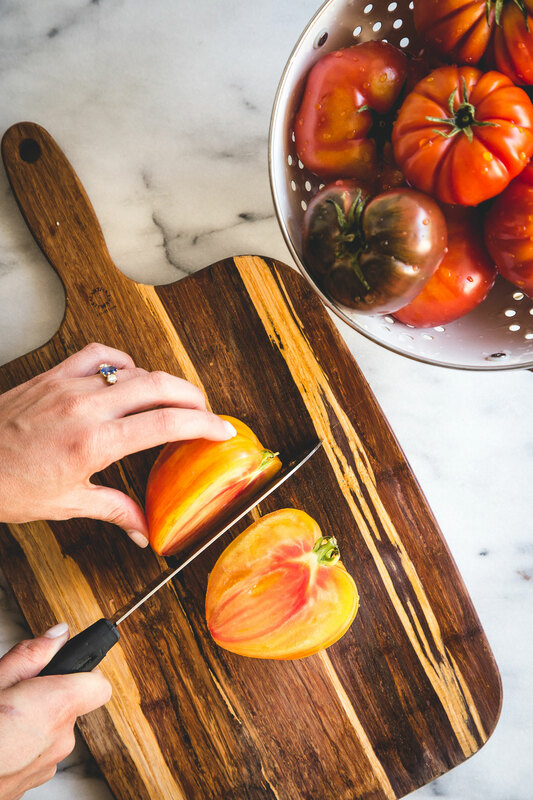 There’s just something special about biting into a meaty heirloom tomato — it’s so much more satisfying than those store bought, thin-skinned tomatoes that don’t hold any flavor. 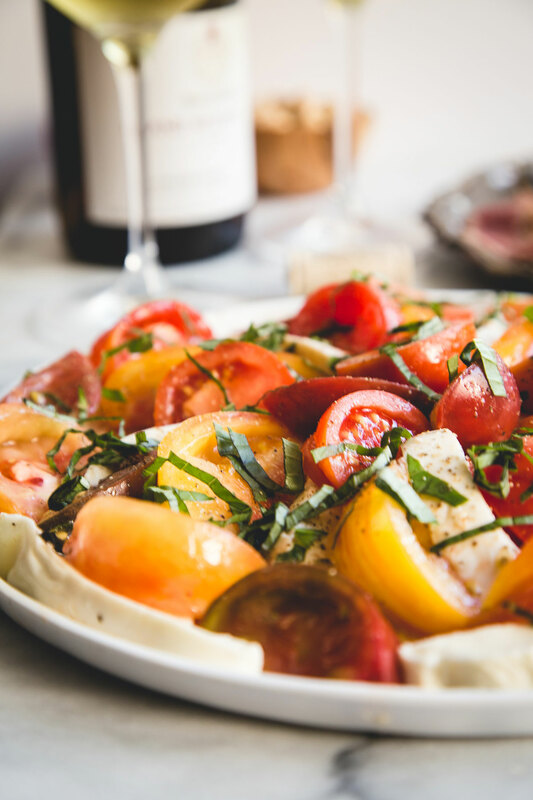 To highlight the heirloom tomato and let it speak for itself, we want to share this stunning heirloom tomato & mozzarella salad recipe with you! 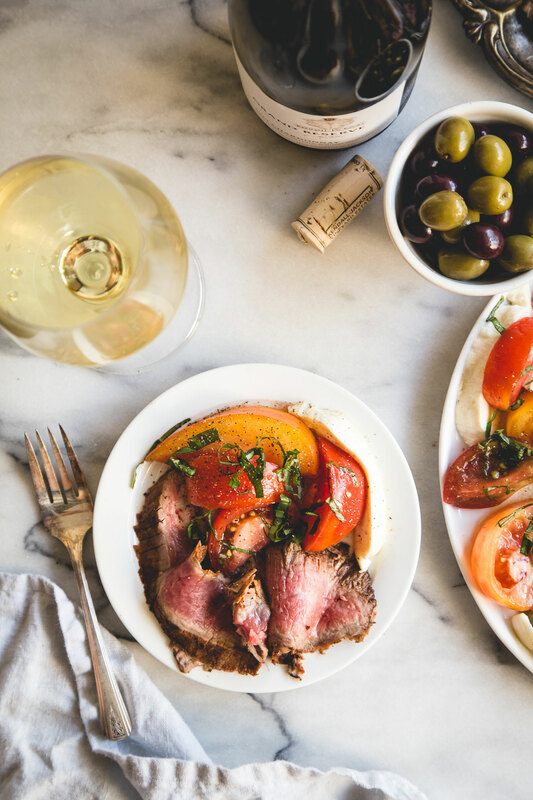 This bright summer salad is perfect for outdoor barbecues, a date night in or with a nice side of grilled beef. 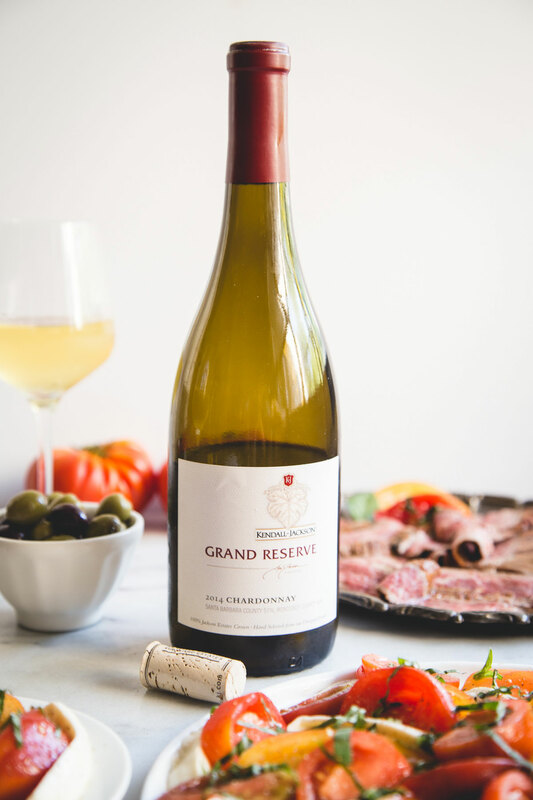 Pair it with our Kendall-Jackson Grand Reserve Chardonnay and you’ve got yourself a new instant favorite that won’t have you spending all day in the kitchen! 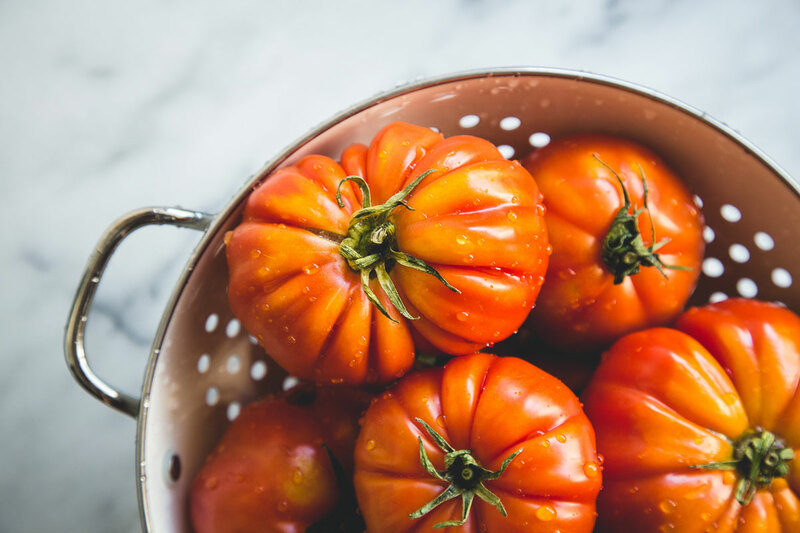 We love heirloom tomatoes here at Kendall-Jackson! A perfect side to grilled beef, this simple summer salad is one our favorites. Slice the tomatoes in wedges (3/4 to 1-inch thick). In a large bowl, add tomatoes, olive oil, kosher salt, pepper and half of the basil. Toss and allow to marinate for 2 minutes. 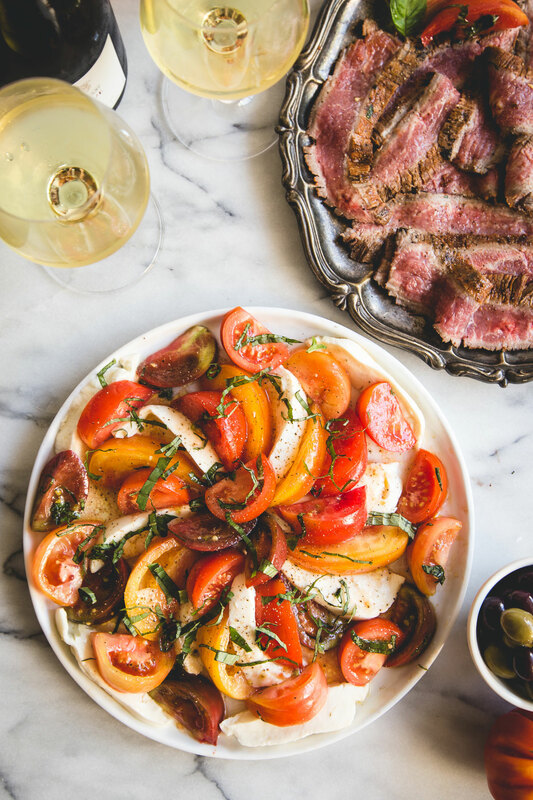 Arrange the sliced tomatoes and mozzarella on a serving plate – showcasing each color. Pour the marinating liquid over the sliced tomatoes and mozzarella. Garnish with remaining basil and sprinkle with sea salt and pepper.